Digital signatures has become popular. It is widely used in a variety of domains, as well as financial transactions and sometimes it can even help when it comes to detecting tampering or even forgery. In this article, I will tell you how to sign a PDF with 2 methods. In order for you to show that your PDF files are legit and that they come from a trustworthy source, you need to make sure that you find a tool which can help you digitally sign them without any problem. 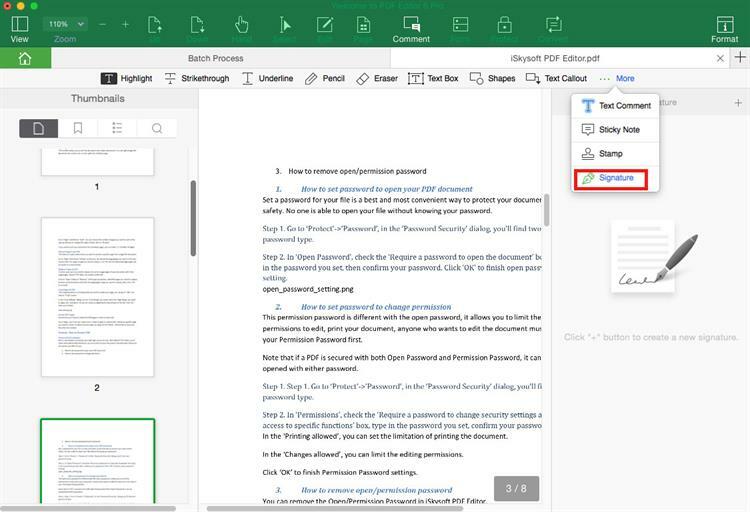 PDFelement Pro (or iSkysoft PDF Editor 6 Professional for Windows) is the right tool for the job, and it enables you to create your own digital signature at any given time. It allows you to add signature to PDF and you can customize your signature. The program enables you to edit your PDF files in any way you want. It comes to encrypt a PDF with a password. Or remove password from PDF. 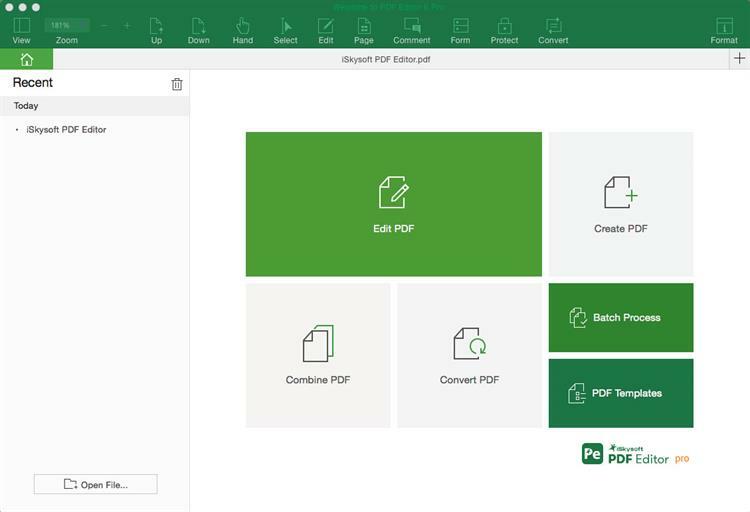 You can convert PDF to Word and other formats, and you can also create PDF. It allows you to extract data from PDF forms and scanned PDF. PDFelement Pro provides you with two different methods that you can use in order to sign PDF documents digitally. You can either do that with the help of a stamp, or with handwritten signature, depending on your needs. In the case of stamps, all you have to do is to make sure that you open PDFelement Pro for Mac then select "Open File" to import your PDF. Here you need to go to the "Comment" tab and then select "More" > "Stamp" in order to browse the templates. Alternatively, you can just click the "Stamp" button on the toolbar to access the templates. What has to be done next is for you to select the template and then place the stamp anywhere you want, without any restrictions! If you opt for the option with the handwritten signature, then what you have to do is to create your own signature. To do this, you can go to the "Comment" tab and then click on "More" > "Signature". You will receive a window where you can find four different options to customize a signature. Here you will use the image file to create the stamp and then add it to your PDF without any restriction or hassle. Or you can also draw or type a custom signature. 1. What are the benefits of an electronic signature? PDFelement Pro brings transportability, compliance, it allows you to seal the document, insert graphics and even add multiple graphics on the same document. When it comes to the types of electronic signatures you can use, it's all up to you, these come in all shapes and sizes, so it can be a little hard to determine which is the best one for you. Still, there are a multitude of templates, so all you have to do is to grab the app and then you are bound to obtain some astounding results in the end. A digital signature is way safer because it's harder to duplicate than a normal signature, and it also has encryption as well as other protection that makes it worthwhile. What Is the Best Way to Make Notes on PDF?